What is it about the leaves changing colors and falling off that is so magical? I think November might be the new October because it is when the weather finally becomes cool and crisp and the trees are ablaze with color. I also think we could all take a cue from Nature. During a season of big transition the trees let go and shed leaves, it might serve as a good reminder to let go of something in your life too. When the days become shorter, the earlier nightfall serves as a reminder to slow down and rest, to recuperate and restore. Watching the change in the season through the eyes of my kiddos makes it that more special. The painted colors, the-dyed leaves, and dreamlike haze of the day. I’ve receive numerous leaf bouquet gifts and cleaned out crackling leaves smuggled under the bed and in the covers. The girls are giddy with the excitement from the change of the season. There are several great books that celebrate the season and capture the beauty in nature. Fletcher and the Falling Leaves- The Giving Tree- all edition; a beautiful friendship between a fox and tree loosing it’s leaves. I can’t let a season or group of books go by without a fun food activity to go with it. After reading the story make a fun snack and craft with your kiddos. You can make your own Cheesy Leaf Bites. This is a great activity for little hands to partake in as it is fairly simple to do and taste like crackers. What kiddo doesn’t like cheese crackers? I you happen to have pie dough leftover from Thanksgiving, you’re in luck as these are made with pie dough. Let your kiddo use a cookie cutters to cut out leaf shapes in the pie dough. We used a snowflake and left off one side and it turned out pretty good. It is a good idea to dip the cutters in flour before cutting out the pie dough so it doesn’t stick and rip. I also let the kids shred the cheese. The best grater to use is one that is attached to a bowl to catch the cheese. It is the great because it’s pretty mess free and reduces the chances of the kids hurting their fingers. There are a lot of things to talk about when making this snack. First, they will be baked, where do we put things to bake? When it is turned on, is it hot or cold? What are safety precautions that we should take when removing items from the oven? Also ask them what will happen to the cheese in the oven. It will melt of course, but will it also change colors? You can also observe the leaves, no two leaves are the same just as no two snacks will be the same and each leaf will be perfectly imperfect. 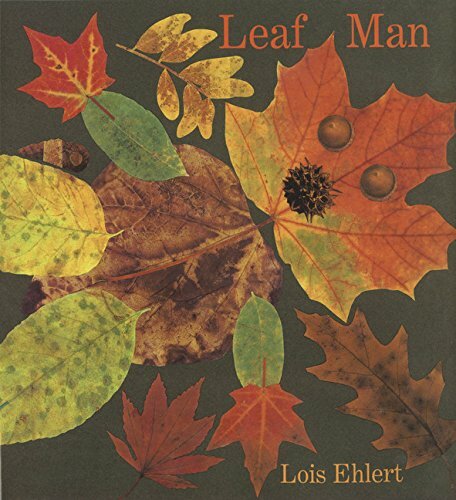 While the cheese bites are baking, you can go outside to collect leaves to make your own leaf man creations by gluing the leaves to paper. If you child masters that, move on to other shapes and animals. You can spend an afternoon making a leaf village. Roll out your favorite pie crust. If you need a recipe, look here. Dip cookie cutters in flour and cut out shapes. Place them on a lined cookie sheet. Use a pastry brush to paint on light coat of egg wash.
Grate cheese and sprinkle of top. Dust with seasoning if desired. Bake for about 15 minutes until cheese melts and edges are golden brown. Can be stored in an airtight container, in fridge, for 1 week. The first day of winter is not technically for another month but as soon as the leaves all fall and we decorate for Christmas, we quickly switch in to winter mode. I am savoring the last of this magical season.